If you know me you will know that I have an angel and hero sister Debs Bayvel , who beat Cancer time and again over 39 years, with Faith and as is required with this dreaded disease, plenty of expensive yet vital medical treatment. I thank God and my amazing dad that we were always able to afford any and all treatments Debs needed. Hannelie Swart (a close friend of Yolandi Engelbrecht who in turn is one of Debs best friends and a consistent, loving rock in Debs life) is losing her battle to Cancer because she CANNOT afford the treatment that CAN save her…. Tears of despair roll down my cheeks as this lady who has such strength, faith and dignity may die due to a lack of money and a medical aid which is denying her life – money I know even bit by bit we can raise. However as is the case with Cancer, a ticking time bomb, her disease is spreading so quickly and these rapidly multiplying cells are attacking and invading every inch of her now tiny and frail body. TIME is of the ESSENCE and so I am writing this and appealing to the hearts of each and every person myself, my family, my friends and strangers know. I can only hope I have surrounded myself with the kind of people who will donate whatever amount they can afford, to save the life of someone so utterly kind and special. 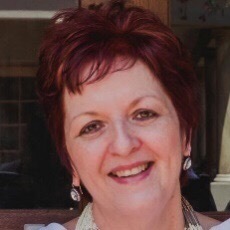 Hannelie Swarts story – her strength and words are her very own I have only penned her story. In 2014 at 53 years of age Hannelie received those dire words, heard too often these days, while sitting all alone in her doctors consulting room, “You have Melanoma cancer and the diagnosis is terminal”. Shocked, terrified and reeling at this death sentence imposed so unexpectedly, just wanting to escape, Hannelie sat in her car and called her best friend … both sobbed uncontrollably. A life cut short so quickly… What goes through your mind? As you sit frozen, this disease does not stop and allow you your sorrows, it continues to kill you as quickly as it can, wrenching the life out of you with no compassion or conviction. What Hannalie has been diagnosed with is an exceedingly rare and incredibly aggressive form of Cancer known as ‘Malignant Melanoma Cancer” – but what is in a title if it is merely words that explain a deadly cancer with a high recurrence rate and until very recently no successful treatments made available. In Hannalie’s case we cannot say she could have and should have avoided the sun as her melanoma is not on her exposed body. Her cancer presented itself as vaginal primary malignant melanoma accounting for 0.3 – 0.8% of all malignant melanomas. Sadly making her prognosis even worse…. “Cancer is not a death sentence, but rather a life sentence. It pushes one to live” – Marcia Smith. Friends are your hearts not aching a little already to help this lady? Deciding to fight this disease WHICH CAN BE BEATEN, as the strong yet gentle lady she is, Hannalie went to a gynaecologist oncologist Professor Snyman, who explained that she would on the 8th September 2014, have an operation which would involve a radical hysterectomy, vaginectomy and pelvic lymphadenectomy. Unknown terms racing through her mind, alone and losing the parts of her which made her feel like the lady she is, Hannelie was absolutely terrified but with no option she had the operation. Again tears stream and my heart is broken. How does someone remain so positive and appreciative when going through the deepest and darkest valleys? And in 2014 life continued for Hannelie with no chemotherapy or radiation required (Thank you Lord as this was a miracle) well I guess I have to say as I have witnessed it for 30 years, life continued as a “Cancer Survivor” with regular scans and check-ups. After a year of “normal scan results” at the end of 2015 Hannelie had to undergo surgery for an incisional hernia caused from her previous abdominal operation. I can never fathom why after beating this disease the victor will still need to battle through operations and problems which arise from the battle…. SADLY during this operation the surgeon discovered new and more Melanoma Tumours. Knowing how we have always felt with Debs and watching her hear these words countless times “ a recurrence, metastasised, stage 2, terminal” I can only imagine that Hannelie felt the same – those words you never thought you would hear again will shatter and destroy… freeze you, shock you, numb you and finally bring you to your knees sobbing and desperate. With one place to look and that is upwards to Heaven and then as I have witnessed so very often, somewhere from deep inside these incredible survivors will find the strength to fight again. And now we need to raise funds for Hannelie.. Deciding that no matter what they took from her she wanted to live in order to spend more time with her precious friends and family, Hannelie – with an enormous amount of faith – underwent a seven hour operation on the 12th May 2016 even knowing that she would now have a permanent colostomy and urostomy – in non-medical terms these are known as “Stomas” which are surgically created openings on the abdomen to collect the waste products (urine and faeces) which our bodies would usually get rid of naturally. Again tears stream how much can one body take, how much of you can YOU lose and still LIVE afterwards…? The beautiful strength of our Hannelie our angel continued to shine through. Can we continue to show Hannelie this type of love and support? After fifteen days Hannalie was discharged from hospital and desperate to get home just to be with her precious dog, a love we can all understand as even though she was now perhaps disfigured and ‘damaged’ her pal would give her the unconditional love she so deserved. Hannelie did discover that her Mount Everest climb was just beginning as every day after she left the hospital, would bring with it new challenges. She had to get used to the stoma pouches, she was unable to eat solid foods, and she couldn’t sleep and found it incredibly difficult to walk. Her left leg was very swollen to the extent that she was unable to even lift it – that alone took six months to return to normal. Experiencing good and bad days, Hannelie had to learn to change the stoma pouches every day where some days even if urine would leak from the bag it would leave her helpless and in tears. Hannalie had amazing help from her stoma therapist and says if it wasn’t for these angels in her life she wouldn’t have made it. I think she is the angel…. And we think a Telkom line going down is a MAJOR Difficulty…..
As a result of the operation Hannelie was booked off from work for 3 months and then discovered she was afraid to go back to work and couldn’t quite get her head around the difficulties it would bring. As a personal assistant she would need to attend meetings and take minutes and was so scared that she wold not be able to perform all her duties as she did before. She now had a colostomy which means no sphincter muscle around the stoma, so she has no control over her bowel or flatulence. The embarrassment of sitting in a room full of people who would hear these intimate noises terrified her. Being the strong and dedicated lady she is, she proudly survived the 1st day, then the 1st month and life at work got better with time until it was too sore to sit for long periods of time and she had to start working half days. In August of 2016 inoperable multiple lung metastases and nodules were found in the right upper lobe anterior, right mid lobe and posterior right upper lobe of her lungs. Although still small (measuring only 3 x 3 mm and 5 x 5 mm). Hannelie was devastated, and her cancer now classified in the end stages of this dreadful disease as Stage 4. Chemotherapy was decided on as everyone rallied around and wanted this kind and amazing lady to survive. The chemo (Dacarbazine) cost R10,000-00 per treatment, her medical aid sent their approval and the course started over September and October 2016. Dacarbazine is the standard 1st line treatment for patients with malignant metastatic melanoma. For decades, chemotherapy with Dacarbazine has served as the standard in patients with inoperable metastatic melanoma, despite the fact that the survival rate as a result of treatment from this drug has never been shown to work in clinical trials. Pure poison running through your system, damaging everything in its path, both the healthy and unhealthy parts, for nothing…. Although she knew this treatment may not save her life as its response rate is so limited, Hannelie had to try it before her medical aid would approve immunotherapywhich has a far better response rate but is very expensive. Hannelies’s oncologist suggested starting with immunotherapy immediately but application for this therapy takes time as it has to be referred to the SA Oncology Consortium and with Cancer time is never on one’s side and so Hannelies friends and family started praying that her treatment would be approved rapidly. And of course this treatment is also very expensive. Yet what is the value one can place on a life? Thankfully in November, Bankmed approved 4 sessions of immunotherapy ( for more on this treatment please see link). The cost is exorbitant at R288,359-36 per treatment. And as Hannelie says, she was incredibly blessed with no side effects (just ) a skin rash, headaches and fatigue. Her hair didn’t fall out and she didn’t experience any nausea. Grateful for these things what a true heroine? Not many of us could even copy daily with these side effects…. Hannelie’s last treatment, with the four spaced out every twenty one days, was completed in February 2017. Still terrified and wracked with a feeling of helplessness and excepting bad news, Hannelie went for a CT scan on the 25th February 2017. However God being the amazing Father He is shone his light on Hannelie and the scan showed a significant reduction in the size and number of her lung tumours. The liver nodules were still present but considerably smaller. Two of the three previously noted had slightly decreased in size. And finally the best news, no new metastatic lesions were seen. Having seen these amazing results, a miracle on a black and white film, her oncologist immediately suggested an application be requested from Bankmed for four more sessions. The sky had cleared, a rainbow appeared and hope was again discovered. You see, Immunotherapy will give you a 65.4% chance of survival however the cost is just to “high” for these medical aids which are more intent on making money than saving lives… they requested a liver test and on receiving the results took this ladies life, looked at the costs on paper and decided she was not going to go for more therapy…. You see money is far more important than life, I guess? What a sad day and age we live in when a boardroom of professionals can have no empathy. Hannelie was disappointed with the decision as not getting any more treatment meant as she sits today she IS DYING and she cannot do a thing about it, this precious, special and brave lady. I am stepping in as even though Hannelie says “I have to trust on the Lord and believe that everything will work out for the good. “ I would hope that’s someone would do the same for me and for those I know and love…. Please I make a plea to your hearts help… if you are ever in this situation I will do my utmost to make sure you get the care you deserve. Please let your heart reach out to this lady lets show Bankmed we can do it and perhaps they will then pay for the rest. · That I am “more than a conqueror” in this world through Him who loves me– Romans 8:37. To be “more than a conqueror” means I will not only achieve victory, but I am overwhelmingly victorious. · That I can face the trials of life with the certainty that I am never alone. I have a mighty Father who fights for me. · That I was braver than I believed, stronger than I seemed and smarter than I thought. · Life is short. Live it. I have contacted Cansa and have volunteered to help with projects. · Do whatever you can while you still can. I have started with Calligraphy classes in January and I will finish the course end of 2018. I am enjoying it to still learn new things. · Every night I turn my worries over to God. He is going to be up all night anyway – Mary C Crowley. I know that God is in control and although this was a disappointment, my life is in God’s hands.